장안사는 통일신라 문무왕 13년(673) 원효대사가 창건한 사찰로, 중심건물인 대웅전을 비롯하여 명부전(冥府殿), 응진전(應眞殿), 산신각(山神閣) 등의 건물이 있다. ‘장안사 대웅전’은 김방한의 ‘장안사대웅전기’(長安寺大雄殿記)와 근래에 발견된 ‘묵서명’에서 건물의 중건 및 중수연대가 명확히 규명된 부산 지역에서 가장 오래된 다포식 건축물이다. 대웅전은 조선 효종 5년(1654)에 새로 지었고, 1948년에 전 주지스님이 보수한 후에, 1975년 처마의 채색을 다시 하였다. 앞면 3칸·옆면 3칸의 규모로, 옆면에서 볼 때 여덟 팔(八)자 모양인 화려한 팔작지붕을 얹었다. 지붕처마를 받치면서 기둥 윗부분을 장식해 주는 공포는 기둥 윗부분 외에도 기둥사이에도 설치되어 있다. 건물 안에는 본존불인 석가여래를 중심으로 오른쪽은 아미타여래불, 왼쪽은 약사여래불을 모시고 있다. 건물이 비교적 높고 견실하게 건립되어, 사찰의 중심건물로서의 웅장한 기상이 잘 나타나 있다. 앙곡이 강한 지붕, 정·배면의 공포 짜임새, 정면의 어칸 및 좌·우 협칸의 창호 구성, 보개천장 등의 양식적 특징을 보여주고 있을 뿐 아니라, 주요 구조재와 단청이 중창 때의 모습을 잘 간직하고 있어 역사적·건축사적·학술적으로 가치가 높다. 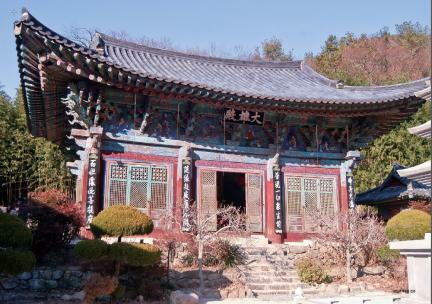 Constructed by a Buddhist monk known as Wonhyo in 673 (the 13th year of the reign of King Munmu of the Unified Silla Period), Jangansa Temple consists of a main hall, Daeungjeon, and other buildings including Myeongbujeon Hall, Eungjinjeon Hall and Sansingak Shrine. 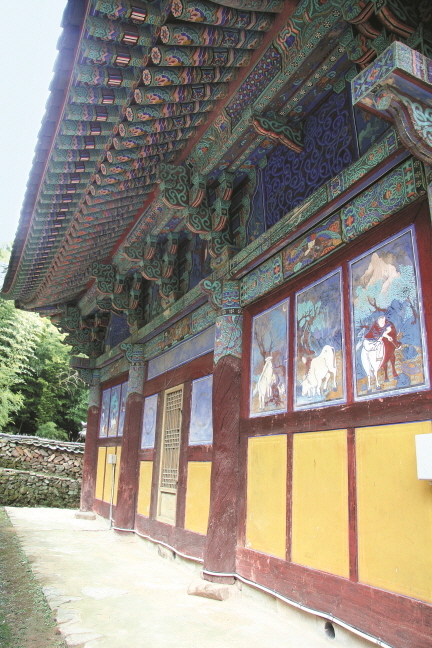 Notably, Daeungjeon Hall of Jangansa Temple is known to be the oldest building with multi-bracket sets in Busan, its construction and restoration dates having been precisely recorded in diverse ancient documents including Jangansa Daeungjeon gi (Records on Daeungjeon Hall of Jangansa Temple) written by Kim Bang-han. 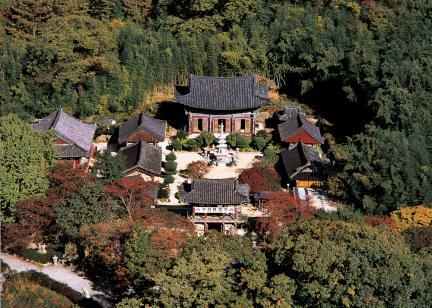 According to these records, Daeungjeon Hall was originally built in 1654 (the 5th year of the reign of King Hyojong of the Joseon Dynasty), and was repaired in 1948. 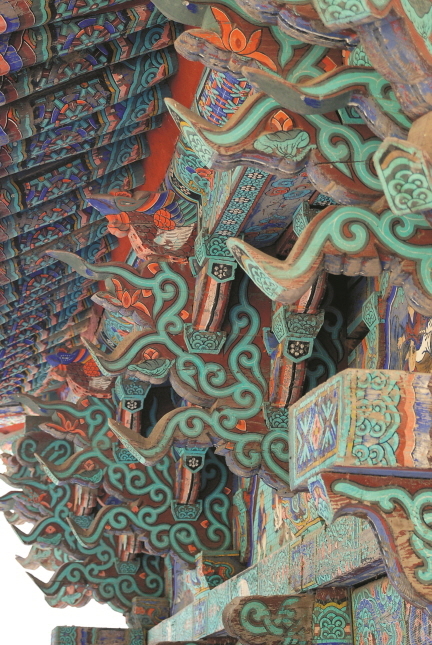 The colorful decoration on the eaves was repaired in 1975. 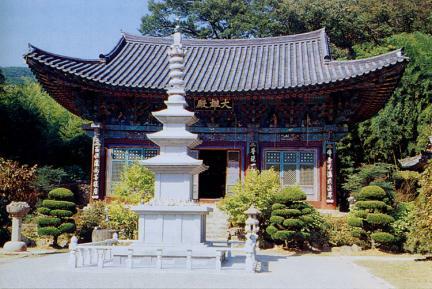 The building is relatively taller and more imposing than other buildings in the temple’s precincts, displaying impressive appearance as the central building of the temple. The building is regarded as highly valuable as it exhibits a number of interesting architectural features such as the sharp curves on the roof, the structure of the bracket system, the composition of the doors and windows, and the tall canopy ceiling. 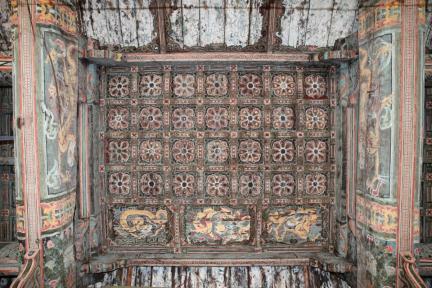 Furthermore, its overall structure and the multi-color paintings on the building are preserved in very good condition.